Every quarter, as a part of the LinkedIn Economic Confidence Outlook Survey, we ask business leaders to sound off on the global economy and hiring trends. The results for Q2 just came out, and out of the 15 countries that we surveyed, leaders in 14 of them foresaw a healthy increase in hiring. It looks like you, recruiters, are going to get a lot busier as the year progresses. 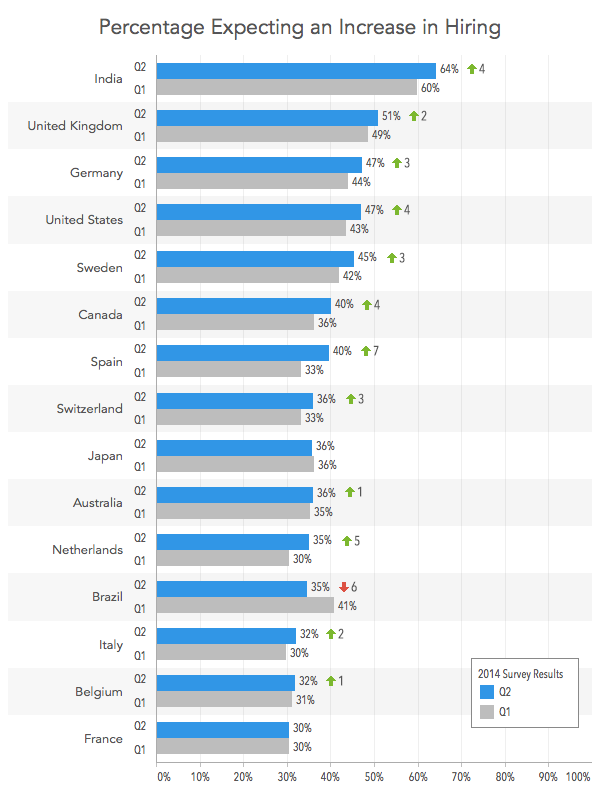 The one stand-out in the survey is Brazil, where leaders predicted a drop in hiring, compared to the previous quarter. These optimistic predictions about hiring come amidst increasingly lukewarm feelings about the future of the global and the respective country economies. Of the countries surveyed, India showed a dramatic increase in the optimism about the global economy, while most other surveyed members were either pessimistic or felt that economy wouldn’t significantly improve. The results about country-level economic growth follow a similar pattern. Another interesting finding concerning recruiting is the staffing industry’s level of optimism about their sector, as well as confidence in individual company growth. Staffing leaders are the most optimistic across any industry, with a whopping 85% of leaders foreseeing a bright future and growth. It worth noting that these sentiments have slightly decreased since Q1, when 88% were of that opinion. 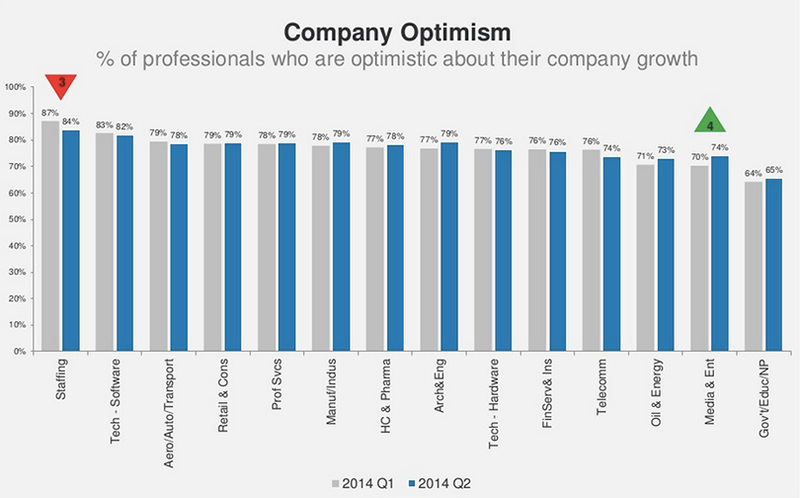 When asked about the future of their own companies, staffing industry leaders again beat out any other industry when it comes to their level of optimism. Similarly, there was slight drop between Q1 and Q2 – going from 87% to 84% of leaders believing in the growth of their company. 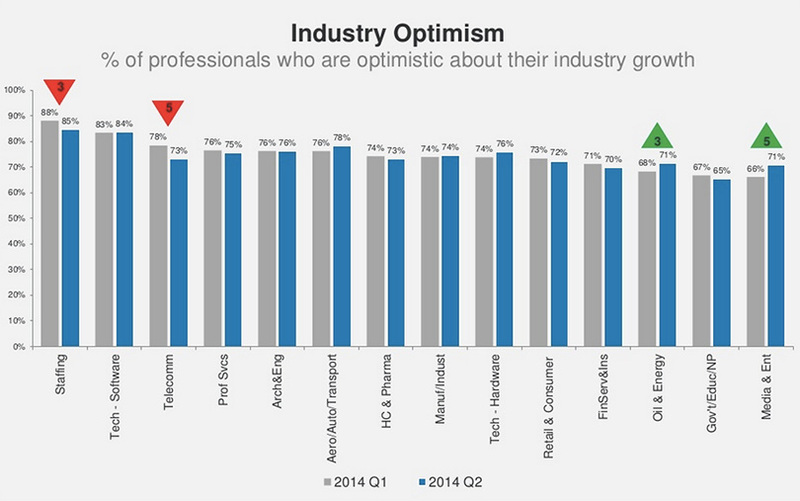 Do you agree with the overwhelming industry optimism? Are you experiencing a hiring boom? Let us know at @HireOnLinkedin. Each quarter, LinkedIn taps more than 13,000 senior business leaders from among its membership of more than 300 million professionals around the world from nearly every major industry and job level. We ask them a series of questions designed to elicit perspectives on where their national economy and the global economy is headed in the near future. 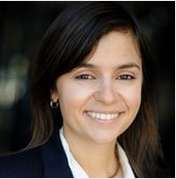 The survey was conducted in June 2014 of LinkedIn members, director-level and above. Responding executives were located in Australia, Belgium, Brazil, Canada, France, Germany, India, Italy, Japan, Spain, Sweden, Switzerland, the Netherlands, the United Kingdom, and the United States. These countries represent almost two-thirds of global economic output. For more information on the global economy, follow our Economic Graph Showcase Page.